The perception of burnout is that it’s something that happens to those who are somehow deficient, people who can’t take the heat, who have less stamina than others. In fact, it’s the opposite. Burnout strikes the most dogged and conscientious workers, people who may even pride themselves on how much more they can handle than others. That's something that should set off alarm bells for any manager or organization. Burnout is a path of mutually assured destruction—for talent, staff, and productivity, which diminishes to a fraction of normal output. The most driven, most inclined to ignore limits can wind up going past where their physiology can take them. Engineers know that even the strongest materials pull apart subjected to the right amount of force and load. The good news about burnout, if there is any, is that it’s something that doesn’t happen overnight. It’s a cumulative condition that builds up over a long period of unrelieved stress, also known as chronic stress. If the stressor that switched on the stress response is identified and resolved, there is no burnout. That’s where burnout has to be cut off at the pass. Burnout is seven times more costly to treat than the average workplace malady, according to Ron Goetzel of the Health Enhancement Research Organization. When the source of stress continues to fuel perceived danger, though, the stress becomes entrenched—day after day, week after week, month after month, perhaps year after year. That is highly destructive, since the stress response drains resources to keep the body in a heightened state that enables it to fight or flee. The stress response was meant to go off only for a brief time, until we are out of harm’s way, since it does some very unhealthy things to us in the interim—suppressing the immune system, shutting down digestion, jacking up the blood pressure. 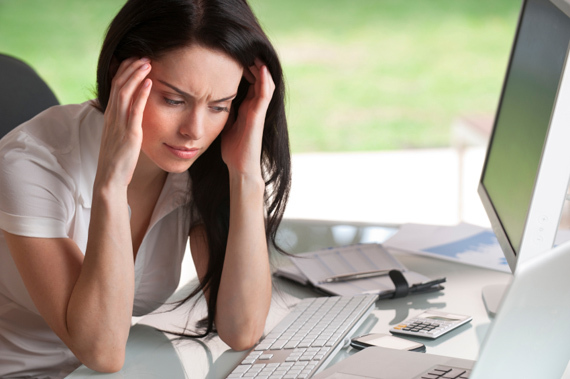 Chronic stress overtaxes the system, and gradually your resources are drained away. Burnout is the last stage of chronic stress, when all energetic resources have been depleted. It’s the end of the road that leads to places no one wants to go—depersonalization, no pride in accomplishment, constant fatigue and worse: depression, stroke. If you think you might be headed down that road, take the Burnout Test here. Because it takes a while to develop, burnout can be prevented and shut down—if we know what we’re looking for. The problem is that burnout plays to rugged individualist strengths—endurance and stick-to-itiveness—that can be our undoing if taken too far. In the process of gutting it out and never saying die, we wind up aiding and abetting the cycle. The adrenaline set off by the stress response to hyperactivate our defenses, masks the effects of stress and creates a feeling of transcendence. We think we’re handling things, but we’re not. This adaptation is why a workaholic will die before an alcoholic. An alcoholic can live for years with cirrhosis of the liver, but it’s often a stroke or heart attack that kills the workaholic. Over time, people accustomed to being able to take on huge demands, suddenly can’t anymore. They don’t have the energy. They’ve suffered a loss of resources—mental, physical, and emotional—too great to replace. And not only that, they don’t have the drive or motivation they once had anymore. Neither the spirit nor the flesh is willing. They don’t understand it. They had always been gung-ho. And now they don’t care. To keep burnout out of the office, we have to make it okay to know when to say when and resolve stress triggers. Burnout, then, is fueled by stress, something that has to be taken seriously, not as a nuisance. Stress is a factor in five out of the six leading causes of death in the U.S. When someone has permission to shut off stress, they are saving the company a prolonged drain of medical bills and lost production. Just keep going until the paramedics arrive is not a sustainable work style. Staying off the burnout treadmill means being proactive about ferreting out stress and burnout triggers, and adjusting work practices and thinking to shut off the chronic danger signal. It’s not life-or-death, though an ancient part of the brain is making it seem so. 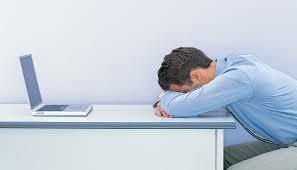 Burnout triggers include excessive workload, lack of reward or support, loss of control, interpersonal conflicts, and emotionally demanding work. When someone is caught up in a cycle of stress from one of those triggers, it's crucial to be vocal about the problem. Failure to speak up can lead to serious health consequences. I spoke with a community health worker who had been overwhelmed by her workload but said nothing, not even to her husband. The concern for being seen as weak can override even the fact that the body is going down. She brought more work home and tried to catch up there. The rubber band stretched as far as it could until it broke. She had a nervous breakdown and was in the hospital for two weeks. If it were any kind of communicable disease, there would be no second thought to finding a solution pronto. Yet burnout and stress are as contagious as a virus. The crisis mentality, cynicism, and emotional triggers of stress quickly spread around the office, impacting decision-making, planning, and eroding rapport and relationships. Changing schedules, adjusting workload and increasing support can help reduce burnout triggers. Burnout is marked by the absence of positive emotions, so part of the way back is adjusting work and lifestyle to regather some of those crashed emotional resources, such as a sense of social support and mastery. Learning how to reframe stressors and the self-talk that creates false beliefs that drive stress triggers is essential. Our stress management programs give people the ability to change the false story that fuels the danger signal perpetuating chronic stress. From there, we provide tools to set boundaries, ask for help, and communicate effectively to adjust task practices that are counterproductive for the team, organization, or individual. Everybody has a lot on their plates today, but it doesn’t have to lead to burnout. The real home of the brave, and productivity, is not a depleted mind and body but one vitalized by a sustainable work style. For information about our stress management programs, click the button below. Stress has become such a normal part of the day-to-day that it has become a kind of adrenalized wallpaper. Bringing up the subject is to point out the obvious—or that you are a wimp, unable to take it in a bravado world that feigns invincibility. Fear of being wimpy, though, leads to real weakness—physically, since stress plays a role in five out of the six leading causes of death, and financially, since stress costs the nation a boggling $1 trillion a year. Unlike more exotic bugs and conditions, there is a cure for stress: knowledge. Science knows how to prevent and manage it. The stress response is activated when a perceived threat overloads ability to cope with the danger. It's an early warning system that worked well in hunter-gatherer days when threats to life and limb were frequent, but it doesn't know how to compute the social stressors of the modern world. A number of proven stress management processes can turn off the false alarm of stress. Once the danger signal has been shut off, the stress stops in four minutes. Job stress is serious business for business leaders who want to cut medical costs and absenteeism, increase performance, and maybe save lives, including their own. Brian Curin, president of Flip Flop Shops, which sells sandals and a casual lifestyle at 80 stores around the country, discovered that he took too casual of an approach to his own health. Though he exercised and ate well, years of stressful business-building had taken a hidden toll. Curin failed a treadmill stress test, and a follow-up angiogram revealed that his heart was starving for oxygen. He had four major blockages, one of them 100 percent—at the age of 38. Humans are known for their legendary adaptability. We survived Ice Ages, droughts, and the pre-medical care and grocery store eras, even Twinkies. We’re so good at adapting to our circumstances, though, that it can actually be hazardous to our health. Doctors say that when patients arrive with burnout symptoms, there is always a long prelude to the problem. Heart palpitations, headaches, back pain, insomnia, irritable bowel, hot flashes, exhaustion. All the signals of stress pave the way to burnout, since burnout is the final stage of chronic stress. If we don’t pay attention to the signals leading up to burnout, we can wind up adapting to the stress until our resources are gone, no forwarding. That’s burnout in a nutshell. After months and years of chronic stress flooding your system with adrenaline and cortisol and suppressing your immune system, you simply run out of coping resources. That’s not something you want to adapt to, since it can lead to stroke, depression and other very serious conditions, not to mention reduce the contribution, achievement, and joy in your life to zero. Burnout is a three-way shutdown—mind, body, and emotions (see our Burnout page). It marks the depletion of all your energetic and emotional resources, something you can feel in the total exhaustion that saps enjoyment from anything you do, work or life. The result is dramatically lower productivity, guilt, shame, cynicism, falling behind, not caring, confusion, little concern for yourself and the people around you. Overcoming job burnout is critical for all concerned, employee, family, and employer. If you think you might have burnout symptoms, take the Burnout Test here, created by one of the foremost scholars on the subject, Dr. Arie Shirom. The irony of burnout is that it tends to happen to the hardest workers—the most conscientious, the go-getters, the ones with the most endurance. This makes burnout a serious threat to any organization. Productivity tanks for anyone with burnout, a cause of presenteeism—you’re there physically, but not mentally—and the sick days mount. Burnout creates disengagement, not a prescription for performance. Preventing burnout takes a vigilant mind, paying attention to the stress signals and doing something about them, not simply adapting to them. You can avoid burnout by dedicating yourself to an ongoing stress management system. Start by identifying the stressors and habits that are driving it—typically, excessive overwork without breaks for recovery, perfectionism, unviable schedules, chronic conflict and giving too much of yourself emotionally without reciprocation. Then make adjustments to turn down the stress by altering the way you do your tasks and expend yourself emotionally. Everyone needs to develop recovery strategies to buffer stress and chronic exhaustion, which can be the start of the withdrawal from life that marks the burnout downward spiral. Basic health maintenance is essential to ward off and recover from burnout. Make sure you exercise regularly, get plenty of sleep, and build regular stress relievers, such as recreational and social activities, into your week. Researchers have found that a brief intervention, such as a six-hour counseling session and courses, can have a dramatic effect in cutting chronic stress, reducing the number of subjects on sick leave in one study from 35% to 6%. One of the best remedies for burnout is getting support, so don’t hesitate to reach out and send burnout packing. You can start by clicking the button below for a free consultation. Taking care of yourself, so you can take of your family and work, is the real home of the brave.